Choose Kelley Construction Contractors, Inc. as your restoration and renovation contractors in the Bloomington, IL area. We operate out of an office right in the Bloomington-Normal metro and have a team readily available to help restore your property, upgrade its look, or even provide foundation & waterproofing services. At Kelley Construction Contractors, Inc., restoration and renovation are in our DNA. We specialize in restoration services for even the most severe damage. Let us take the stress out of your life by helping you with the insurance process, providing reliable estimations, and restoring your property and lifestyle back to normal. While we can’t help bring back items lost in the fire, we can help restore your property back to a safe, livable condition. Whether the hail is the size of a penny or larger than a golf ball, combine it with wind and it can do quite the amount of damage to your property. Let us take care of your hail damage repair. Storm damage can come in all shapes and sizes: fallen trees, missing siding, broken windows. 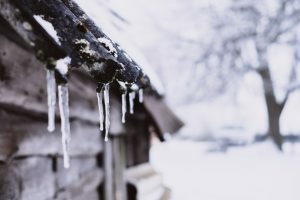 No matter what your property is hit with, we can take care of it. Maybe your property is on Miller Park Lake or maybe you just live in a low lying area. In any case, if your property is flooded, call Kelley Construction Contractors, Inc. We even have emergency services as needed. When your property has water damage, so much more is involved than just getting rid of the water. That’s why you need an experienced water damage restoration contractor from Kelley Construction Contractors, Inc. Living with mold can be dangerous for your family’s health. Let us help you by scheduling your mold remediation. We understand that in most cases, there’s no way to know when a major storm or flooding rainfall will hit. That’s why we have on-call crews ready in the Bloomington-Normal area for emergency situations. Your safety is our number one priority and all of our restoration services will leave your property and family in a much safer condition than when you started. Even just updating your kitchen can give your property a whole new feel. We can help you with everything from picking out materials to constructing your ideal kitchen. Our team can provide bathroom remodeling of all scopes, whether you want a complete bathroom overhaul or just some updates here and there. If you’re like many, basement remodeling may seem like more than you want to deal with. Let us eliminate the stress and provide services that are both timely and competitively priced. Thinking about adding onto your property, but not sure about your options? 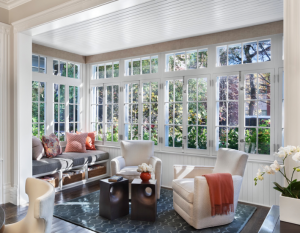 Consider sunroom additions, which are more affordable than full add-ons, but still provide ample living space. Let our team help you design the space of your dreams. As your renovation experts, we offer the best brands and products that will upgrade your property. Contact us today to get started or for a free estimate.